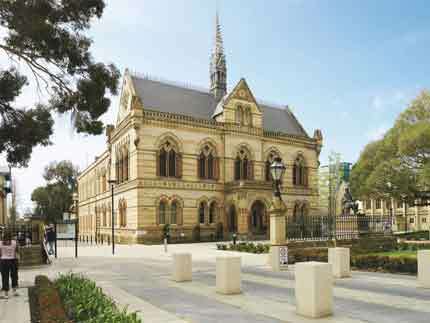 Dr Younus started work in the department of Geography, Environment and Population, Adelaide University as an Adjunct Research Fellow in June, 2011. He has published two books (one from Springer) on climate change vulnerability and adaptation; and 23 articles/papers in refereed journals and proceedings. His publications have been cited in academic literature across the World. He taught several courses on environment (Environmental Studies: Climate Change and Human Adaptation, Environmental Decision Making Tools, Research Project Design and Management, Cities as Human Environments) in Flinders University, Australia; and he also delivered special lectures in Dhaka University and Adelaide University. Dr Younus has evaluated ANU Doctoral thesis, NOAA's grant application, and many articles for international refereed journals (dozens of high ranking int. journals) as a referee. Younus is an Associate Editor / Assigned Editor of the Journal of Environmental Assessment Policy and Management, Imperial College Press, UK /WSP, http://www.worldscientific.com/page/jeapm/editorial-board; he is also an Editor of two Journals: Cogent Environmental Science https://www.cogentoa.com/journal/environmental-science and Cogent Social Science https://www.cogentoa.com/journal/social-sciences. He is also an assigned Editor / editorial board member of Sustainability (MDPI Journal, IF: 1.85), http://www.mdpi.com/journal/sustainability/editors, Climate, Hydrology,Water, Environment. Advisory Board Member, Sci, MDPI Open access journal; http://www.mdpi.com/journal/sci/editors; Editorial Board Member, Springer Nature Applied Sciences, https://www.springer.com/engineering/journal/42452; editorial Board Member, Progress in Disaster Science, Elsevier. He was assigned as a team member with various international research activities, such as: International Water Management Institute, BUP, ADB, WMO, Global Water Partnership, and the University of Waikato. He has presented papers in various international seminars in the USA, Norway, Finland, Australia, Bangladesh and the UK. Younus worked with Professors Drs Nick Harvey, Q K Ahmad, K B Sajjadur Rasheed, Munir Morad, Martin Williams, and Richard Warrick. He was a Scientific Reviewer of IPCC Fourth (2007) and Fifth (2014) assessment reports on adaptation. Dr Younus is a Board Member of Australia New Zealand Society for Ecological Economics (ANZSEE). He is a member / life member of 19 International Academic and Development Societies along with the Association of American Geographers, Institute of Australian Geographers, the Royal Geographical Society - Institute of British Geographers (RGS-IBG), Regional Studies Association (UK), International Society for Ecological Economics (ISEE), Bangladesh Geographical Society, BNGA, the Royal Geographical Society of South Australia, Field Geology Club of South Australia, The Australian Sociological Association and Bangla Academy. He is a Fellow of RGS-IBG. He is a Councillor of the Royal Geographical Society of South Australia. He is Founder of Bangladesh Australia Hub (BAH) Inc.
PhD in Environmental Studies from discipline of Geography and Environmental Studies, University of Adelaide (2010), Australia. Masters of Philosophy in Geography, University of Waikato (2002), New Zealand. Masters of Science with Thesis in Geography (First Class Second), University of Dhaka (1994), Bangladesh. Bachelor of Science with Honours in Geography (First Class), University of Dhaka (1991), Bangladesh. 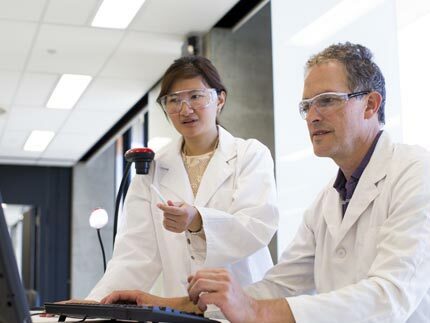 Divisional Scholarship for PhD from the University of Adelaide. New Zealand Overseas Development Authority (NZODA) Scholarship for MPhil from the University of Waikato, NZ. 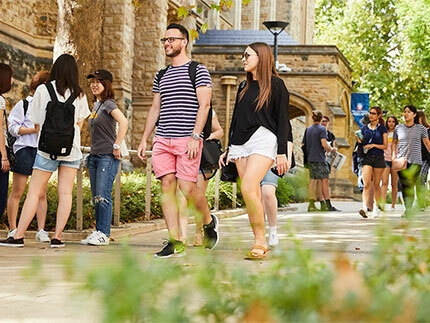 Publication Grants from the Faculty of Humanities and Social Sciences, The University of Adelaide. 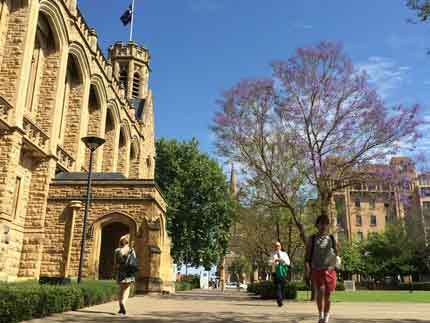 Research Abroad Scholarship from the University of Adelaide. Travel Grant for Participating GECHS Workshop in Norway. Travel Grant for Participating IAG Conference in Brisbane, Australia. Younus, M. and Harvey, N. (2014): Economic Consequences of Failed Autonomous Adaptation to Extreme Floods: A Case Study from Bangladesh, Local Economy, Volume 29 Issue 1-2 March 2014 pp. 20 – 35, The Journal of the Local Economy Policy Unit, SAGE Publication, UK. ISSN 0269-0942 (Print), 1470-9325 (Web). Younus, M. and Harvey (2013): Community-Based Flood Vulnerability and Adaptation Assessment: A Case Study from Bangladesh, Journal of Environmental Assessment Policy and Management, Vol 15, No. 3. Print ISSN: 1464-3332, Online ISSN: 1757-5605. Younus, M. (2014): Flood vulnerability and adaptation to climate change in Bangladesh: A Review, Journal of Environmental Assessment Policy and Management. Vol. 16, No. 3 (September 2014) 1450024 (28 pages), © Imperial College Press DOI: 10.1142/S1464333214500240 Print ISSN: 1464-3332, Online ISSN: 1757-5605. Younus, M. (2012): Farmers Household Information In Bangladesh: Significant Indicators For Assessing Vulnerability And Adaptation, the Journal of Bangladesh National Geographical Association, Vol 37, Nos 1 and 2, Jahangirnagar University, Dhaka, Bangladesh. Younus, M. and Harvey, N. (July, 2011): Autonomous Adaptation to Extreme Floods in Bangladesh as a Case: Can Adaptation in South Asia Cope with Extreme Hydrological Profile of the GBM River Basin? Oriental Geographer, Vol. 52, No 1 & 2, 2008, Published in 2011, ISSN: 00305308, Bangladesh Geographical Society, University of Dhaka, Bangladesh. Paul, S., Habibullah and Younus, M. (1994): Climate and Sea Level Change: Impact on the Coastal District Bhola in Bangladesh, Development Debate(Unnyan Bitarka), Troyodosh Barsha, Number 2, June 1994, pp 19-37, BUP, Dhaka. Rahman, K. And Younus, M. (1993): Health Care Facilities in Bangladesh – An Analysis on Work-Load Factor, JOPSOM (Journal of Preventive and Social Medicine), Vol 12, No. 1, March 1993. Younus, M. (1993): Changing Pattern of Health Care Facilities in Bangladesh–A Geographical Analysis, Indian Journal of Landscapes Systems and Ecological Studies, Vol. 17, No. 1, Calcutta, India. 1. Alam, T.& Younus, M. (2014). Responses and Barriers of New Migrant Communities to Extreme Heat: A Case Study in the City of Port Adelaide Enfield in South Australia. In: Opportunities for the Critical Decade: Enhancing well-being within Planetary Boundaries. Presented at the Australia New Zealand Society for Ecological Economics 2013 Conference, The University of Canberra and Australia New Zealand Society for Ecological Economics, Canberra, Australia. 2. Younus M.A.F., Sharna S.S. & other (2014). Integrated Assessment and Decision-Support Tool for Community-based Vulnerability and Adaptation to Storm Surges in Four Coastal Areas in Bangladesh. In: Opportunities for the Critical Decade: Enhancing well-being within Planetary Boundaries. Presented at the Australia New Zealand Society for Ecological Economics 2013 Conference, The University of Canberra and Australia New Zealand Society for Ecological Economics, Canberra, Australia. 2. Younus, M. (2001): Coping with Flooding in Rural Bangladesh – A Case Study of Adjustments By Farmers in Islampur Thana, Unpublished MPhil Thesis, Department of Geography, The University of Waikato, Hamilton, New Zealand. 3. Younus, M. (1993): Inequality Pattern of Health Resources in Bangladesh – With Special Focus on Two Selected Thanas, Unpublished Master Thesis, Dept. of Geography and Environment, University of Dhaka, Bangladesh. 4. Younus, M. (1991): Health Resources in Bangladesh, BSc. Project Paper, Dept. of Geography, University of Dhaka. Ahmad, Q. K., Karim, Z, Haq, K., Qasem, M., Hussain, I., Rahman, K., Chakravorty, N., Ali, N., Akhter, R., Hasan, M., Younus, M., Hossain, A., Karim, M., Siddiqui, S., Ahmed, N. (April 2004): Pro-poor Intervention Strategies in Irrigated Agriculture in Asia: Poverty in Irrigated Agriculture–Issues and Options, Country Report, IWMI-BUP-ADB, International Water Management Institute (IWMI), 2004, http://www.iwmi.cgiar.org/propoor/ (opens in new window) (external link) (opens in new window) (external link)>http://www.iwmi.cgiar.org/propoor/ (opens in new window) (external link) (opens in new window) (external link). 1. Younus, M. (1995): Davis Cycle of Erosion: A Note, Science Journal (Biggane Potrica), Bangla Academy, Dhaka, Bangladesh. 2. Younus, M. (1993): Master Plan and Its Process–Indispensable Criteria of a Planned City, Porishor, Dept of Geography (student organization), University of Dhaka. 1. Younus, M. (2016): Extrapolation of Adaptation Funds at Community Level in the Coastal Region of Bangladesh, paper presented in Institute of Australian Geographers Conference: Frontiers of Geographical Knowledge, held on 29th June– 1 July, Adelaide, South Australia. Younus, M. (2016): A Nexus of education, employment and income of Bangladeshi skilled migrants in South Australia: an analysis of contemporary challenges, paper presented in Institute of Australian Geographers Conference: Frontiers of Geographical Knowledge, held on 29th June– 1 July, Adelaide, South Australia. 2. Younus, M. (2016): The Causes and Intervening Options of Illegal Migration from South Asia to Asia Pacific Region: An Analysis, paper presented in Institute of Australian Geographers Conference: Frontiers of Geographical Knowledge, held on 29th June– 1 July, Adelaide, South Australia. 4. Younus, M. (2011): Community-Based Flood Vulnerability and Adaptation Assessment -Methodological Contribution in its Evaluation: A Case Study from Bangladesh, Workshop Paper, Proceedings, 5th Early Career Researchers’ National Forum & Workshop, Australian Climate Change Adaptation Research Network for Settlements and Infrastructure (ACCARNSI), University of New South Wales, 11-13 May 2011, Australia. 8. Younus, M (2006): Adaptation To Extreme Flood Events In Ganges-Brahmaputra-Meghna River Basins - A Case Study In Bangladesh, Paper Presented In International Geographical Union Conference (Igu) In Brisbane, Australia, Organized By Institute Of Australian Geographers And Nzgs, 3-5 July, Pp 128, Http://Www.Geoscape.Cz/Pdf/Igu_Ab_1.Pdf (Pdf File) (External Link) (pdf file) (external link). 10. Younus, M, Bedford, R. and Morad, M. (2003): Examination of the Patterns of Farmers’ ‘Autonomous Adjustment’ to Major Flooding Events in Bangladesh, RGS-IBG Conference 2003, Conference proceedings & presentations September 2003, London. 11. Younus, M. (1994): Changing Pattern of Health Care Facilities in Bangladesh – A Geographical Analysis, seminar paper of 39th annual general meeting and geographical conference, Bangladesh Geographical Society (BGS), Dept. of Geography and Environment, University of Dhaka, Dhaka - 1000, Bangladesh. He has membership / life-membership with eighteen societies over the World: the Royal Geographical Society–Institute of British Geographers, the UK (Fellow and Chartered Geographer), Institute of Australian Geographers, Association of American Geographers, The International Society for Ecological Economics (ISEE); Executive Member of Australia New Zealand Society for Ecological Economics (ANZSEE), Bangladesh Geographical Society, Bangladesh National Geographical Association, Society for International Development (SID), The Australian Sociological Association, Bangla Academy, Community Health Research Association, Bangladesh Australia Society of South Australia Inc. (Vice President), Regional Studies Association, UK, Asiatic Society of Bangladesh, New Zealand Geographical Society, Geographical Society of NSW, Australia, the Royal Geographical Society of South Australia Inc (Councillor), The Field Geology Club of South Australia Inc., and ABACC.